Chris Sampson - Does This Mean The End For Daw Mill? For proof of the old adage that "troubles never come singly", look no further than Daw Mill Colliery near Coleshill in north Warwickshire. What began as a sequence of unwelcome "knock-on" events at the Midlands' last remaining deep coal mine has escalated into a catalogue of cascading catastrophes. Factor-in that "spontaneous combustion" four months ago and you have the underground equivalent of a "perfect storm". It has cost UK Coal a third of its business: it produced 2.2m tonnes last year out of UK Coal's total of 8m tonnes. The fire started in the worst possible place, near where most of the equipment was kept. It is also happens to be the area which has an additional flow of oxygen which in turn gave the flames an extra boost. UK Coal estimates the total cost at a staggering £300m - £160m for the coal itself, £100m for the equipment plus nearly £40m to close it down. And close down Daw Mill surely will: reopening it would cost at least £100m more. Since the fire, UK Coal has moved 120 of the Daw Mill workers to other deep mines. But it says 350 others for whom it has yet to find work are at home on 60% pay. Just to compound the uncertainty hanging over them, it is unclear whether or not they would receive the enhanced redundancy terms they had been expecting, or merely the basic statutory payments. Someone with 35 years service would get £31,500 under the enhanced scheme compared with just £12,500 under the state scheme. UK Coal's pension fund has a deficit of half a billion pounds. Following a restructuring last year, it was spilt between their property and mining businesses. Now there are mounting fears that the former Daw Mill workers will end up with far less generous pensions than they had bargained for. Negotiations between UK Coal, the pensions regulator and the Pension Protection Fund (PPF) are understood to be at an advanced stage. The Union of Democratic Mineworkers says all the uncertainty is wearing its members down. Many of them find themselves in a kind of Catch 22, they want to find new jobs but fear their benefits and redundancy terms could suffer if they do. The company's chief executive Kevin McCullough says his main focus is "preserving 2,000 jobs and securing the future of UK coal mining". He told BBC News he remained confident they they had "an underlying profitable business". UK Coal still has deep mines at Kellingley in Yorkshire and Thoresby in Nottinghamshire as well as six surface mines. Whatever the future of UK Coal, until new sources of energy are delivered, we will become ever more dependent on imported coal, especially from Russia, Colombia and South Africa. And hundreds more British miners will leave the industry for good. 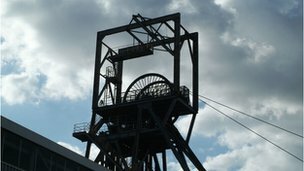 A large part of the UK's remaining coal mining industry is expected to be taken over by the state-established Pension Protection Fund, the BBC understands. The operator of the mines, formerly UK Coal, is expected to enter administration in the coming days. The PPF is then expected to take on the assets as well as a pensions liability estimated at about £550m. The deal is expected to keep the mines running and save jobs, but lead to a cut in miners' pensions. There are about 7,000 current and former mine workers whose pensions could be affected, with the Financial Times reporting they face a reduction of 25%. A spokesman for the PPF confirmed that it was "one of a number of parties involved in discussions about the future of operations at UK Coal", but said it was not able to comment further while discussions were continuing. "Our role is to protect the interests of pension scheme members and minimise any resulting costs to our levy payers," the spokesman said. The PPF is responsible for bailing out struggling pension schemes, but does not usually take on the control of the companies backing those pension schemes. It was established by the government 10 years ago, but is funded through a levy on pension funds. John Ralfe, a pensions consultant, described the expected deal with UK Coal as "unprecedented". 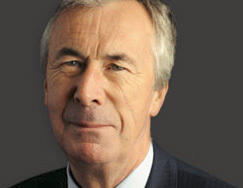 He told the BBC's Today programme that the size of the pensions liability was significantly bigger than any other the PPF had handled in its 10-year history. "This is the single biggest hit by a country mile that the pension fund has had," he said. UK Coal has been suffering significant financial difficulties, and underwent restructuring last year. It suffered a costly fire at the Daw Mill pit in Warwickshire earlier this year. It now operates two deep mines and six surface mines under UK Coal Operations, which is a subsidiary of UK Coal Mine Holdings. It is not clear which business is due to enter administration as part of the rescue deal.